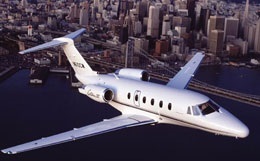 The Gulfstream G150 jet aircraft is a wide-cabin version of the Gulfstream G100. 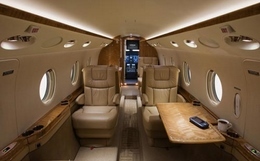 The Gulfstream G150 features a wider cabin, system modifications and aerodynamic improvements, with the capability of seating six to eight passengers and two crew members. The Gulfstream G150 has a maximum range of 3,130 nm, allowing passengers to fly from New York to Los Angeles, London to Moscow, or Rio de Janeiro to Santiago non-stop. 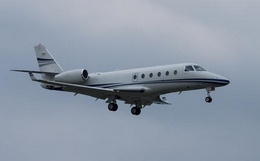 The Gulfstream G150 is becoming more and more popular each and every day. With its wide-cabin and breathtaking speeds, and continental ranges, it excels at almost everything. Designed to travel the longest at the fastest speeds, the G150 also has a relatively short takeoff and landing distance. Indeed, Gulfstream even surpassed its own expectations by producing a business jet with longer range, shorter takeoff, and shorter landing distance that they had originally announced while it was in development. This is no surprise however as Gulfstream is renowned for not only meeting, but blowing away the expectations of customers, aviation experts, and even themselves. The G150 boasts an impressive 99.8 percent dispatch-reliability rate as well as a 92.59 percent availability rate. 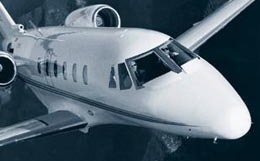 To top it all off, the G150 has relatively low operating costs, which is of course beneficial to both the owner and charter clients. A true Gulfstream representative in every way, the G150 epitomizes what the brand is all about: efficiency, reliability, and value. Its spacious cabin is as comfortable as possible featuring fully-reclinable, ergonomic seating with armrests, work tables, and 11 windows to provide natural lighting. It is FAA certified for Stage 4 noise standards making noise levels more comfortable both for passengers and those outside the aircraft. It's cabin dimensions are 17' 8" in length, 5'9" in width, and 5'9" in height making it larger and more spacious than both most business jets and most jets in its category. The comfortable interior cabin is not just exclusive to passengers. An advanced Rockwell Collins ProLine 21 avionics system has been implemented on the aircraft improving pilot experience and reducing workload. A Wide Area Augmentation System, flight-data recorder, and automatic flight systems improve not only the safety of the aircraft, but also the comfort of the pilot. A state-of-the-art Enhanced Vision System allows infrared surveillance to increase pilot awareness and increase overall safety as well. Gulfstream takes reliability and flight safety seriously, which is evidenced in the sheer amount of effort they have put into the safety mechanisms on the G150. The incredible performance of the G150 is due to its extremely powerful Honeywell TFE731-40AR engines that are reliable during each of the seasons. Its sleek aerodynamic design is not only elegant in structure and appearance, but also supplements its in-the-air capabilities. As you can imagine, combining powerful engines with state-of-the-art aerodynamic design leads to massive speeds and the G150 never fails to impress. Breaking speed records across the country, the G150 is the absolute leader when it comes to sheer quickness. Operating at speeds of up to Mach 0.85 and featuring a flight ceiling of 45,000 feet, the G150 soars above hostile weather conditions and commercial airline traffic. It can take four passengers up to 3,000 nautical miles at long-range cruising speed. This allows the G150 to transport its passengers extremely quickly over continental distances with ease. It's can fly farther, faster, and higher than any other aircraft in its class. It is no wonder that the G150 continues to rise in popularity and is continually praised via awards, records, and media recognition. For more information about chartering, leasing or buying a Gulfstream G150 please contact us by calling +44-20-3874-8091 or send us an email here.